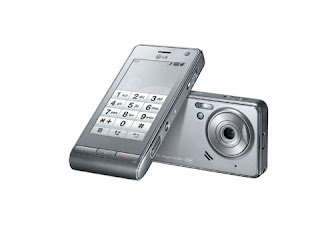 LG's top of the line camera phone, the LG Viewty now sports a dark silver color. If you think that the black LG Viewty is just TOO iPhone like, you might want to try to opt for the dark silver color in order for your LG Viewty to not be mistaken as an iPhone (God forbid!). Come to think of it, with the LG Viewty's dark silver color, it's back now looks more like a digital camera. For those not in the know, the LG Viewty is a high end camera phone with a 5 mega pixel resolution, a Schneider-Kreuznach lens, Xenon flash, and capable of recording 120fps of video. It's so good that even the guys at Divx.com recommends it.